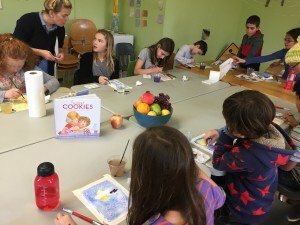 Students were treated to their first watercolor workshop led by Brooke Dyer on Art Fridays at deCordova Sculpture Park and Museum. In addition to brushes and paints, Brooke brought along some interesting items that at first seemed out of place. These included: toothbrushes, toilet paper, a hairdryer, and salt! 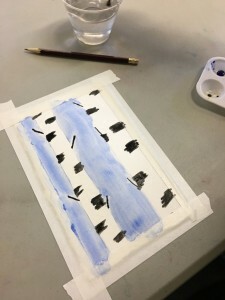 She demonstrated how to achieve a speckled effect with the toothbrushes, a blotted effect with the toilet paper, and a textured effect with the salt. 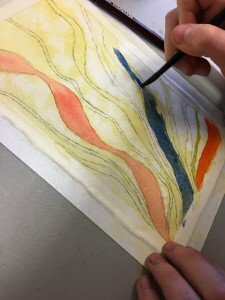 We learned that an initial wash step is necessary to prime the paper for painting. This water wash is important for coloring the background. Students practiced these techniques and looked through books for inspiration. The studio time was a great success! We are very excited to learn more about the art form from Brooke and to begin working on our children’s book illustrations next week. 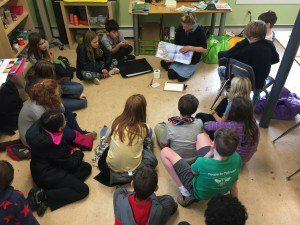 Interested in learning more about the Birches School? Please preregister for our upcoming Open House! 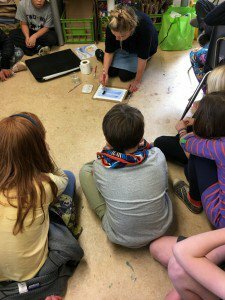 Older PostA Neurologist Visits the K/1 Class!